Click on the blue + button in the panel at the top of your list. Now you’ve got three ways to add items to your list: Search, Create, and My Collection. 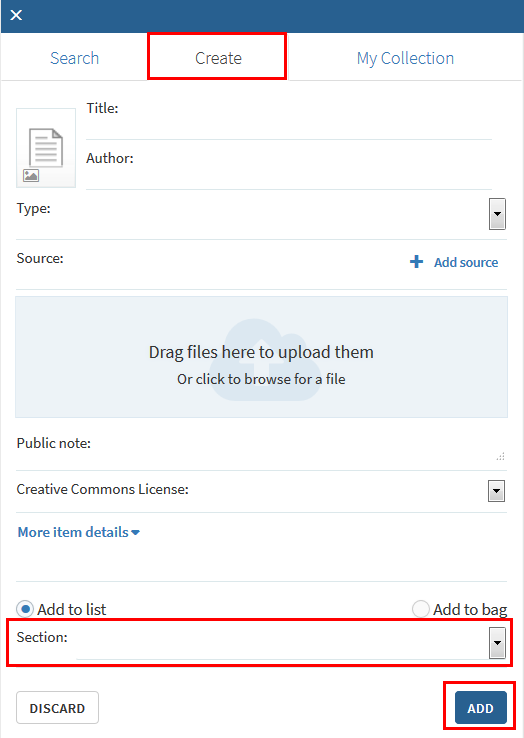 If you need to create your own citation – if it’s something not held by the Library or available online – then you can use this option. 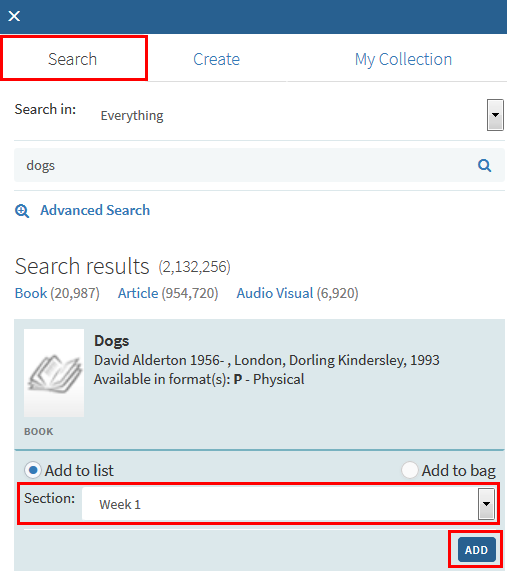 Type in the details, pick a section from the drop-down menu, then click on add. 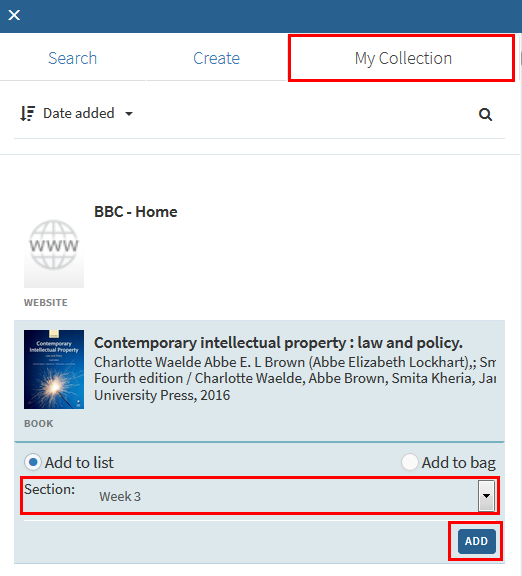 My Collection is where you can store and organise your personal collection of resources (ready to add to your lists). You can drag and drop an item directly into your list. Alternatively, you can click on an item, choose which section you’d like to add it to, then click add. This entry was posted in Uncategorized on May 9, 2018 by Louise Dutnell.